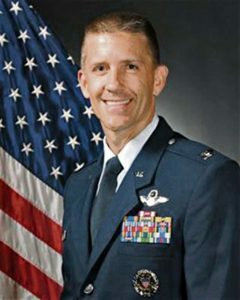 Col. Michael T. Rawls, 435th Air Ground Operations Wing and 435th Air Expeditionary Wing commander. The 435th Air Ground Operations Wing has a new commander, Col. Trey “Lou” Rawls. Col. Rawls re-cent-ly answered a few questions on his new position and his past Air Force experiences. Q: What was it like being a test pilot? A: It was an amazing opportunity to continue to bring technologies to Airmen that will ensure we don’t fight a fair fight for quite a long time and in the future. I had the opportunity to fly the first-ever flight of the upgraded A-10C as a test pilot, and the same day shot the first-ever upgraded (Advanced Medium-Range Air-to-Air Missile) off of an F-15C. As an aviator, that makes for a pretty good day. Q: Why are you excited about being the new AGOW commander? A: I love people. I don’t have a lot of talents, but one that I’m good at is taking care of people, making them better at what they do and help them see how good they can be. This job affords me that opportunity. Q: What skills do you bring to Ramstein that will help you as the 435 AGOW commander? A: The breadth of experience that I’ve had has taught me a lot of things. One of them is that it’s okay to ask for help. Seek the counsel of those people who you think have done a good job and have generated a product that you would like to emulate. I have learned those lessons and am comfortable doing that. So I think all of those things will serve me well in this job. Also, over time you develop relationships, so I don’t just know people in the A-10 community; I have relationships across the board. My experiences have built a network that I can use to continue to solicit advice and leverage those friendships to help get our mission done. A: Number one: Let’s figure out a way to get to yes. I’m not a ‘no’ person. The Air Force is a lot more malleable than people think, and I always tell people to figure out a way to hammer it into yes. Number two: People honestly want to know that you care before they care what you know. Number three: You spend most of your adult life at work, so if you’re not having fun doing it, you should go do something else or we need to change what we’re doing to make it a fun place to be. Q: If you could have any super power in the world, what would it be and why? A: I have to say, I’d like to fly. In aviation, unpowered flight is the ultimate power. For this year, it would be because both of my kids are going to be in Auburn, Alabama. So if I could zoom back and forth on my own, then that would be the super power I would like to have. Q: If you were to deploy to a remote location tomorrow, what would your last meal be at Ramstein? A: Any meal with my family. My wife is a great cook! Over the last month of moving, eating out has lost its mystique. So I would choose to stay home, having a great meal with my family.